(13-1-2, 6 KOs) to capture the International Boxing Federation (IBF) International super lightweight title. 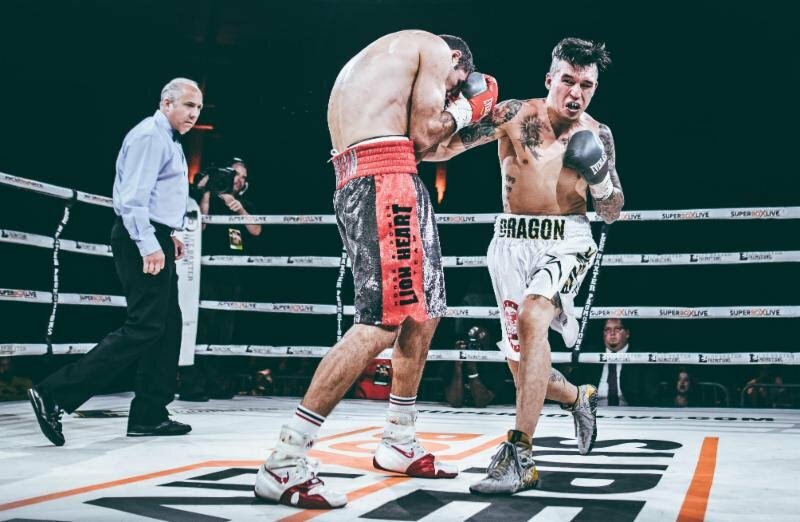 Presented by Lee Baxter Promotions, Claggett vs. Ananyan headlined the second installment of “SUPERBOX LIVE: – “Rise Up” – that aired across Canada exclusively on Super Channel, live from Powerade Centre in Brampton, Canada. Live streamed worldwide on FITE.TV, the event will also air tomorrow (Tuesday, July 31) at 7 p.m. in the United Kingdom on BoxNation (visit www.boxnation.com for listings). Claggett, fighting out of Calgary, Canada, bounced back from a loss by way of a 10-round decision this past St. Patrick’s Day to Danny O’Connor in Boston. Armenia-native Ananya, now residing in Moscow, captured his IBF International title last October, when he upset 30-1 defending champion Luca Giacon, who was fighting at home in Spain, by way of a six-round technical decision. Claggett, who overcame a flash opening-round knockdown, won a close 10-round unanimous decision by the three judges’ scores of 95-94. A true road warrior, Claggett has now won four of his last five fights, highlighted by upsets of three previously unbeaten opponents, all on the road by way of 10-riound decisions, starting in 2016 against Emmanuel Robles (15-0-1) in Las Vegas for the North American Boxing Association (NABA) USA junior middleweight title, followed last October in Montreal versus highly-touted prospect Yves Ylyssee, Jr. (14-0) for the IBF North American crown, and the latest being Ananyan. “It was very close,” Claggett said about his fight last Saturday evening. “It was another great fight, another blood-and-guts battle, which is the only way I’m apparently built. So be it. I’m happy to be a warrior in the ring. At the end of the day, fighters fight, period. In the co-featured event, Toronto’s only reigning world champion, Sandy “Lil Tyson” Tsagouris (17-2, 7 KOs), won every round for an eight-round unanimous decision over her Mexican opponent, Guadalupe Solis (5-3, 2 KOs). Local favorite Nick Fantauzzi improved to 6-0 (4 KOs), taking a six-round unanimous decision from Nova Scotia light heavyweight Aaron Crawley (3-2). Canadian featherweight prospect Ross Mylet (3-0), fighting out of Oakville, Ontario, remained undefeated with a four-round unanimous decision triumph over Francisco “Relempago” Ubiet (6-3, 2 KOs), of Mexico. Canadian boxing fans may watch future “SUPERBOX LIVE” events, as well as more exciting boxing to come in 2018, by contacting their local cable provider to subscribe to Super Channel and all that it offers, including premium series, movies and much more, for as low as $9.95 per month.